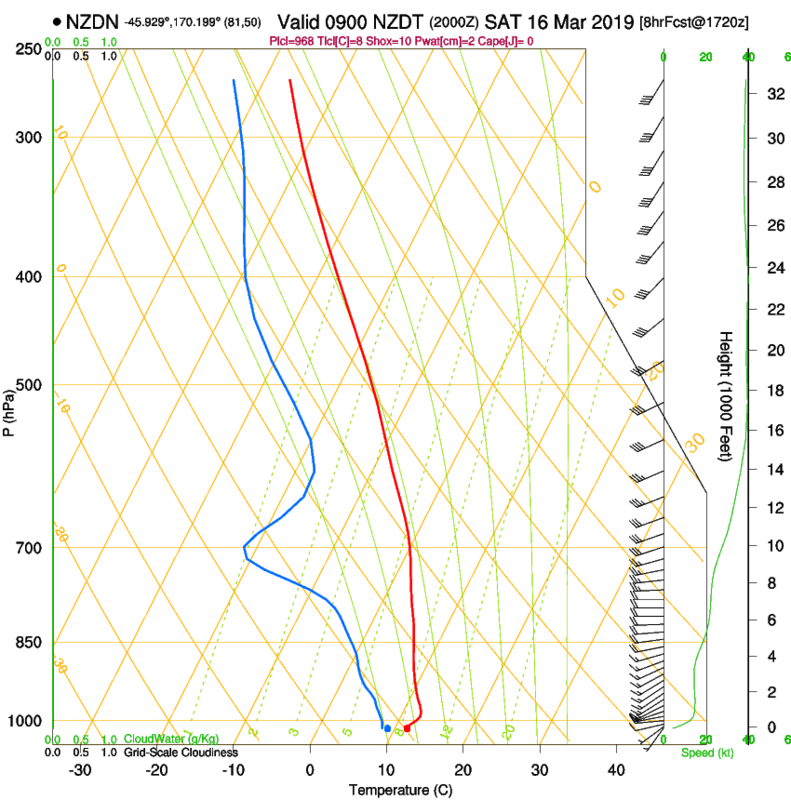 Upper air soundings show temperature, dew point and winds with altitude. This information can be used to evaluate stability, cloudbase, top of cloud, wind profile, and many other athmospheric features. A very good introduction to these diagrams (specifically tephigrams, which the SkewT-LogP diagram below is very similar to) can be found here (hosted with permission from Dr Ian M. Brooks).